Since their inception in 2008, Vermont Brownie Company has strived to be both gourmet and down-to-earth. Aren’t these opposites, you may ask? 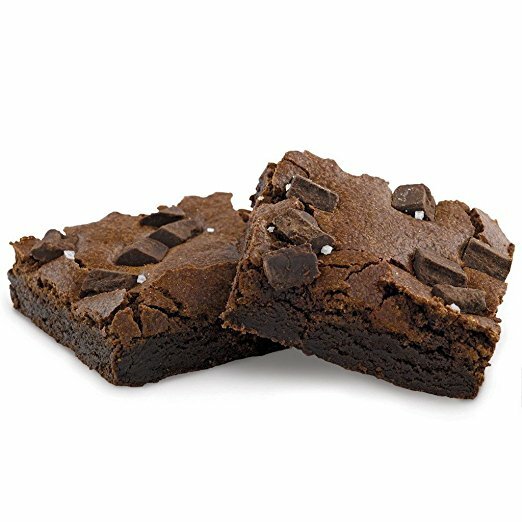 The Vermont-based company combines these two qualities seamlessly, bringing customers the highest-quality, most decadent brownies that are baked from scratch with local, farm-fresh ingredients and no preservatives in their Vermont bakery. A New England company dedicated to creating gourmet brownie gifts for every occasion. Vermont Brownie Company takes pride in their one-of-a-kind brownie creations, offering eight specialty flavors, with options including dark chocolate chevre, espresso dulce de leche and apple blondies. All brownies are available for individual purchase. Putting a twist on the classic favorites, the company also has two sampler options, so that customers can try all of their unique offerings. 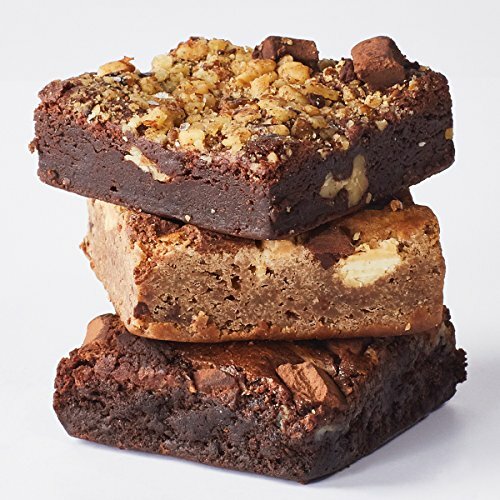 These samplers include their Gourmet Brownie Sampler, available in six or 12-packs, and their Baker’s Choice Gourmet Box, also available in six or 12-packs. 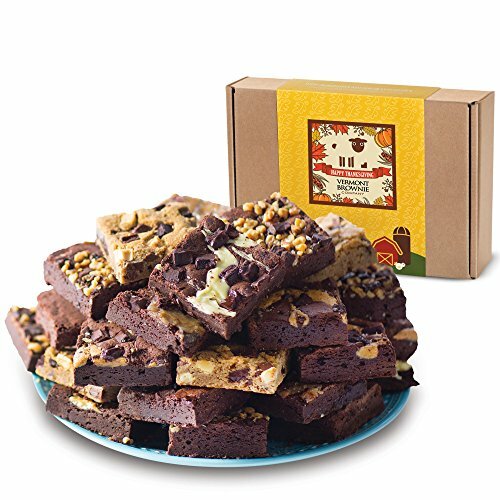 Specializing in gourmet gifts, Vermont Brownie Company has a wide range of sampler box gift options available for purchase, with quantities ranging from 24 brownies to a deluxe 72-piece set. They also offer a monthly brownie program, which will be further discussed below. Although we love this vendor’s small-batch approach and original flavor combinations, they do have a somewhat small selection of brownie flavors and varieties, and do not offer brownies for those with allergies and other dietary restrictions. All of Vermont Brownie Company’s small-batch, preservative-free brownies are baked from the finest ingredients. They always use local, farm-fresh ingredients from Vermont farms when possible. As for their chocolate, cocoa and other exotic ingredients? For these items, Vermont Brownie only uses premium ingredients from around the globe, like their imported Belgian chocolate and French cocoa powder. The Vermont Brownie Company is very proud of their unique brownie formulations, and tries to present even the most traditional flavors in a new way. 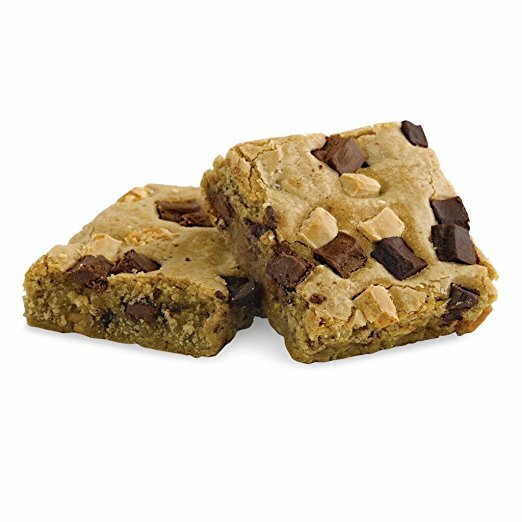 They offer seasonal goodies as well, with current Fall offerings including a maple toffee crunch brownie and an apple blondie. Due to their small-nature, Vermont Brownie Company does not offer gluten-free, vegan, nut-free or sugar-free options at this time. The vendor currently only bakes their small-batch goodies in one kitchen, and are unable to guarantee no contact with nuts, wheat, eggs, milk and soy. Perfect for the foodie in your life, Vermont Brownie Company offers a delightful Monthly Brownie Program Gift option. This customizable club, allows the purchaser to select from three, six, nine and 12 month subscriptions. You are also able to choose between deliveries of six or 12 brownies, depending on whether you are purchasing the club for an individual, couple or family. The club pricing starts at $79.99 for a three-month, six-pack membership and tops out at $479.99 for a 12-month, 12-pack membership. The customizable-nature of the club ensures you will find the exact quantity and price amount that you are looking for. Each monthly shipment is available to be packaged in six distinctive boxes featuring the vendor’s adorable sheep logo. Each brownie is individually wrapped to guarantee freshness. The membership also includes a free personalized greeting card with each delivery. Packaging can also be customized to include business logos, which will be further discussed in the Corporate Gift section below. This down-to-earth bakery has something for just about every price range and budget! Available for individual purchase, the vendor’s gourmet brownies start at $4.00 for a beautifully-packaged one-pack. They also offer two-pack and three-pack purchases for $8.00 and $12.00. If you are looking for something a little more, Vermont Brownie Company offers gift boxes and sets containing 12, 24, 36 and 72 individually-wrapped, gourmet brownies. These perfectly-curated gift sets and samplers range in price from $39.50 for their Gourmet Brownie 12-pack to $118 for their Ultimate Brownie Sampler 36-piece set topping off at $236.00 for their Ultimate Brownie Sampler II 72-piece set. Vermont Brownie Company has a 100% delicious guarantee and will replace or refund any items that do not satisfy the customer. In order to achieve this guarantee, each order placed before 1:30 p.m. EST is baked and shipped on the same business day of the order, via overnight or 2-day shipping. Any order placed after this time will be baked and shipped the next business day. All brownies are individually wrapped to eliminate melting, breakage and to ensure freshness. The company guarantees the brownies will arrive intact and ready-to-eat, no matter what the season. Customers will incur an additional $8.00 charge for rush deliveries, and additional $12.00 charge for Saturday deliveries or deliveries to AK/HI or PR. As previously discussed, Vermont Brownie offers six different gourmet brownie samplers and packs, with quantities ranging from 12-packs to 72-packs. They also offer the purchase of individual, two or three packs, which make adorable favors and gifts as well. All of the Vermont Brownie gift options are available to be packaged in five different variations of their classic box with their iconic sheep logo. These variations make gifts extra-special for every season, with options including: Classic, Autumn Day, Blue Sky, Lots of Love and Winter Night. Within these gift sets, each brownie is individual packaged, and a complimentary, personalized gift card is included. Discussed above, this company offers a customizable monthly brownie club, which makes an indulgent gift for the chocolate-lover in your life. 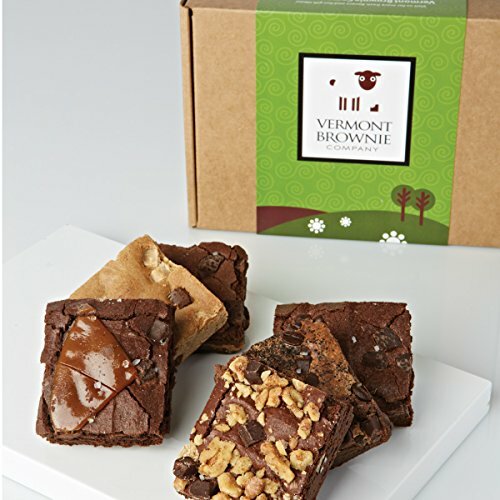 All of Vermont Brownie Company’s gift sets, boxes and monthly clubs are available for business gifting. With the company’s excellent corporate program, theses Vermont-made brownies can be shipped to one business location or to multiple individuals on a list. All gifts can be customized to include your business logo, label or artwork, free of charge. Company insert cards as well as a personalized greeting card can be included with any business order. Business gift volume discounts are also another benefit of Vermont Brownie’s business gift program. This company does not offer specific occasion and holiday wrapping options at this time, which is something we would love to see for Christmas, Birthdays, Anniversaries and more. Depending on your preference, you can purchase Vermont Brownie Company’s decadent baked goods online through their user-friendly website or via their toll-free order number during business hours. Questions or concerns? This vendor’s customer service team can be contacted through a form on their website, by email or by their toll-free customer service phone line during business hours. No 24-hour hotline or live chat are available. Their easy-to-use website has a FAQs section, which should answer any basic questions on ingredients, shipping or nutritional information. The company does not have a blog or other interactive features at this time. Who Would Enjoy Shopping Here? This club is ideal for anyone on the hunt for the perfect gift. With their wide selection of gift options including individual sizes, larger boxed sets and samplers, as well as their customizable gift club, this vendor has something for every budget, occasion, holiday and event. They do not currently offer brownies that are allergen-free, so individuals with special dietary restrictions will not want to try this bakery. Also, they do not offer a large variety of options, so those wishing to pick from a wide selection of flavors and formulations may not like this vendor. We love this Vermont-based bakery’s emphasis on small-batches, locally-sourced, fresh ingredients and unique, seasonal flavors and formulations. This company also offers excellent gift options that fit every price range, and their adorable packaging sets them apart. Another perk of the Vermont Brownie Company is their extremely customizable monthly gift program, which lets customers choose the combination that works best for them. As previously mentioned, this Vermont-bakery does not offer gluten-free, vegan, sugar-free or nut-free options due to their small size and limited space. Although we love their artisanal-approach to baking their gourmet goodies, we also wish that they had a wider selection of brownie types and flavors. Another drawback of this bakery, is that they do not offer holiday-specific gift wrapping options, which is not ideal for those that want their purchase to have a specific holiday or event theme. This artisanal bakery, focused on crafting the finest brownies around out of local, farm-fresh ingredients, offer an original take on gourmet brownies and gifts. Staying true to their roots, the Vermont Brownie Company has kept the baking and production of their gourmet products and gift sets down-to-earth and local. This delightful bakery, with their 100% delicious guarantee and customizable gift club is certain to satisfy your sweet tooth. Leah Young is an Senior Editor and Researcher at Revuezzle.com. She has a degree in Global Justice Studies, and has had various research and writing positions. When she isn't working, she loves to travel and spend time at the beach. Leah lives in Norfolk, VA with her husband and two dogs, Scout and George. Throw Down with Bobby Flay and Vermont Brownie Co.